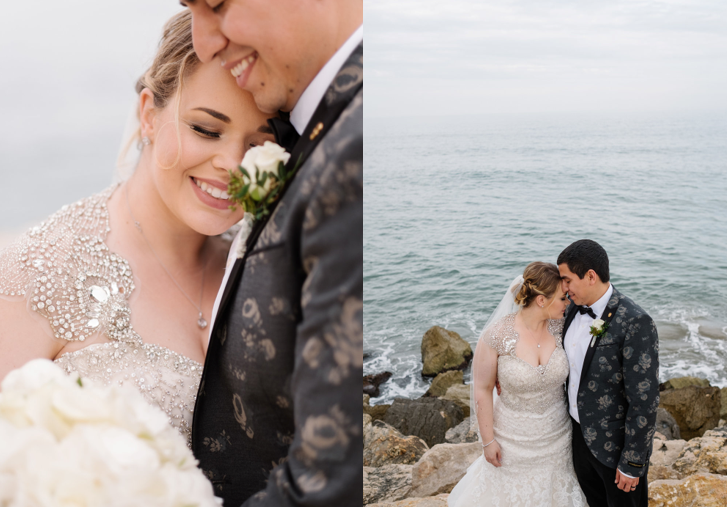 After a year of planning, emailing and chatting I was really excited to be finally meeting Whitley and Francisco as they had never visited Spain and I could not wait to see what everyone thought of the country I fell in love with as a small child! 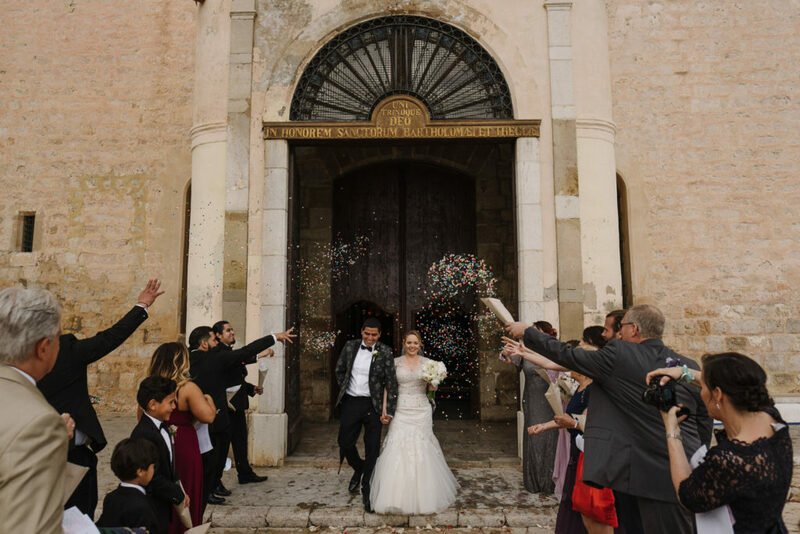 The fact they had taken a huge leap of faith, after abandoning their wedding plans in the States, made it even more awesome they were jumping onto a plane to host their wedding in a completely different country! 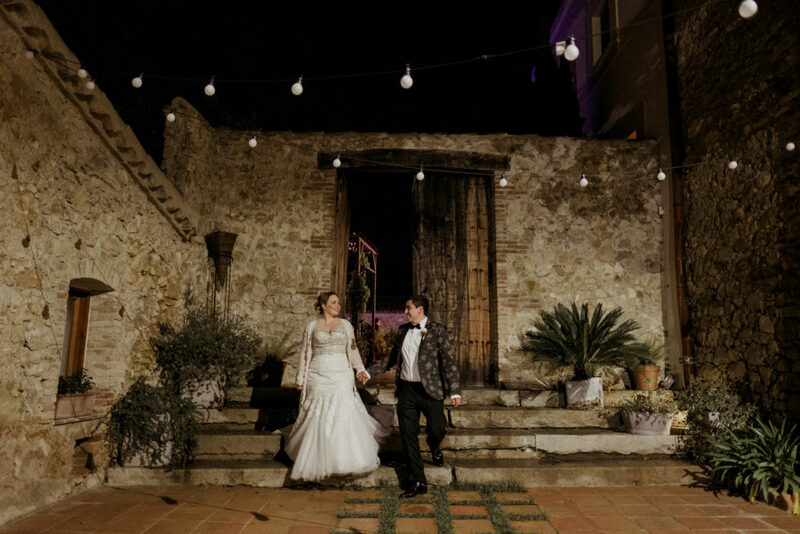 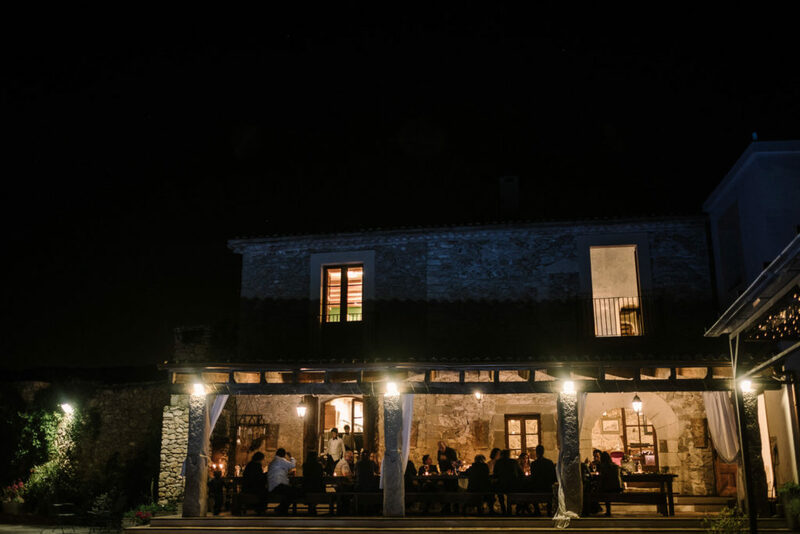 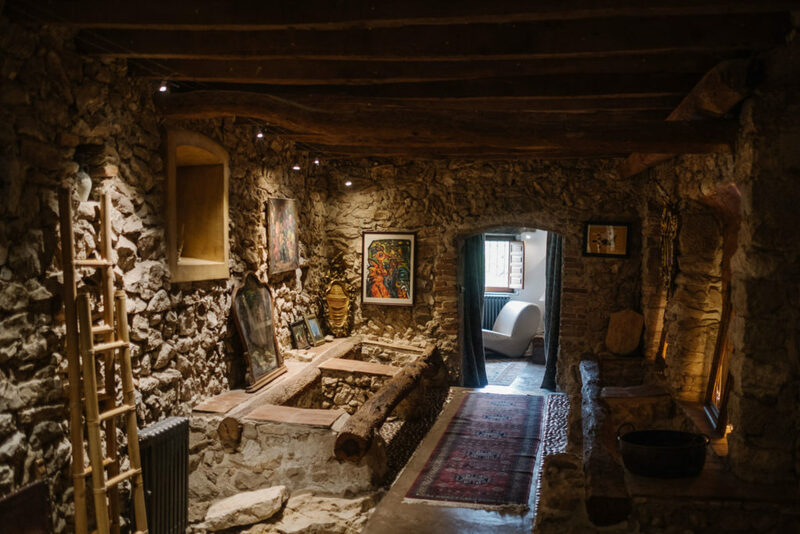 Whitley and Francisco had booked the stunning Casa Felix, a sympathetically restored Catalan Masia, set in the hills behind Sitges, in Olivella for a few days of celebrations and family fun. 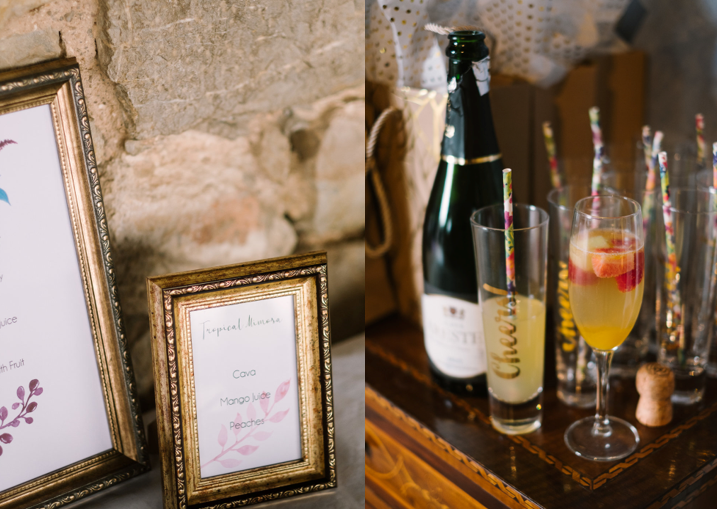 Each guest was greeted with a thoughtfully put together welcome bag in their room including cava, snacks, some fun novelties and of course a hangover kit! 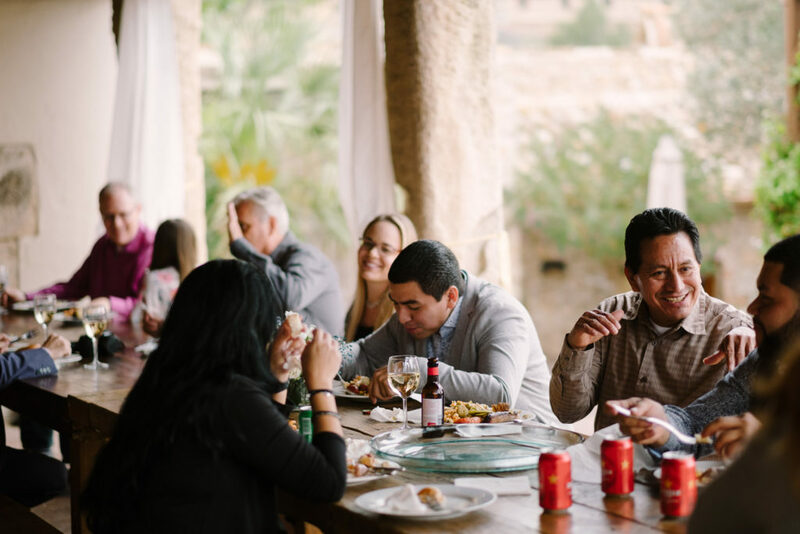 As with all families, there were dynamics to consider as everyone settled into the Casa, so the festivities started with a delicious welcome BBQ dinner allowing everyone to mingle. 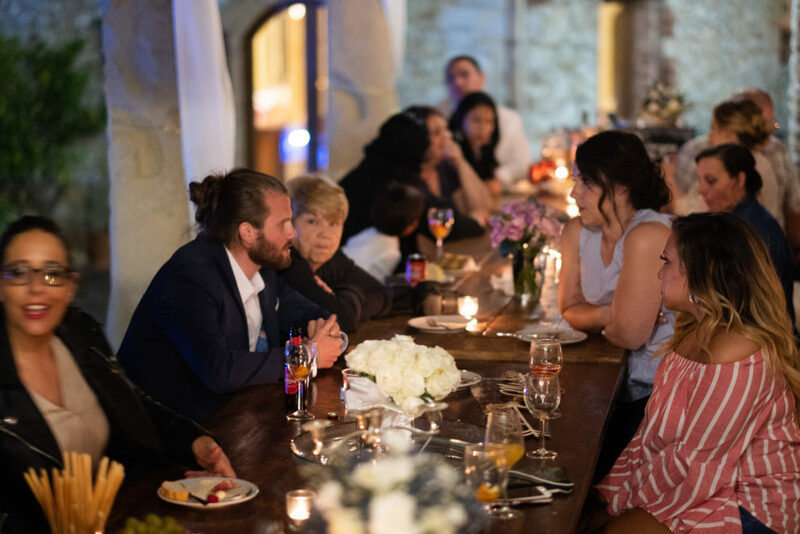 After so much food and time to chat and relax, the evening was a huge success and everyone was looking forward to the wedding day. 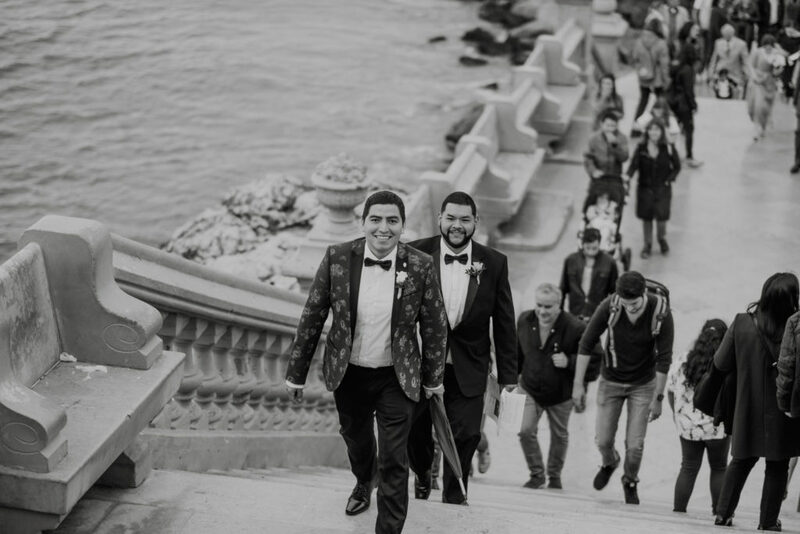 A lot of thought and care had been put into their wedding day, including gifts, personalized hangers for the bridal party, a hip flask for the best man and many other details, it was a touching gesture and I loved the cheers champagne flutes we had ordered along with the bride and groom rubber ducks for the children! 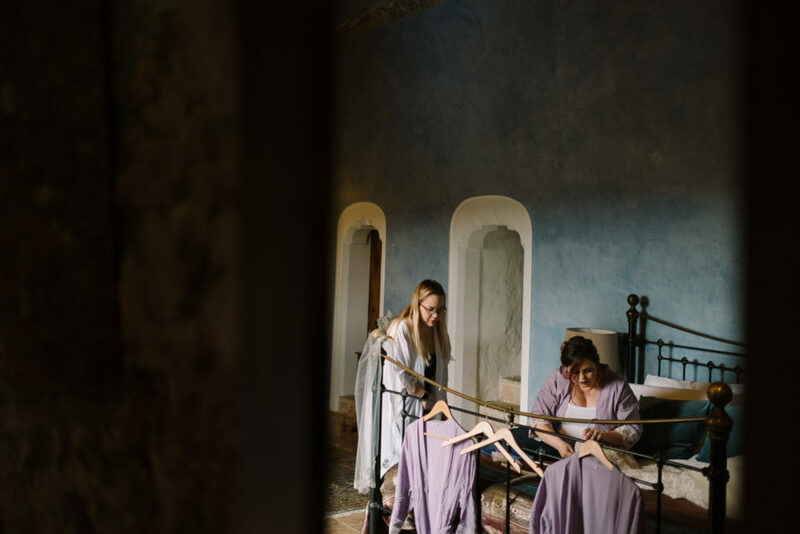 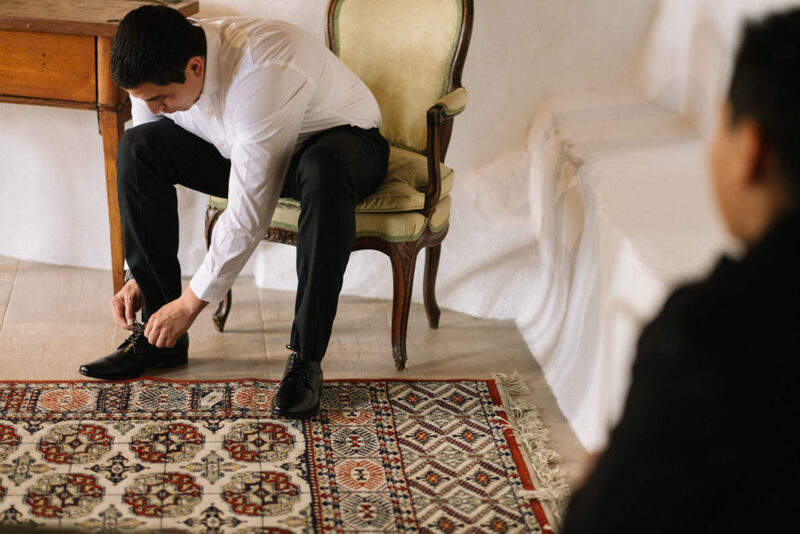 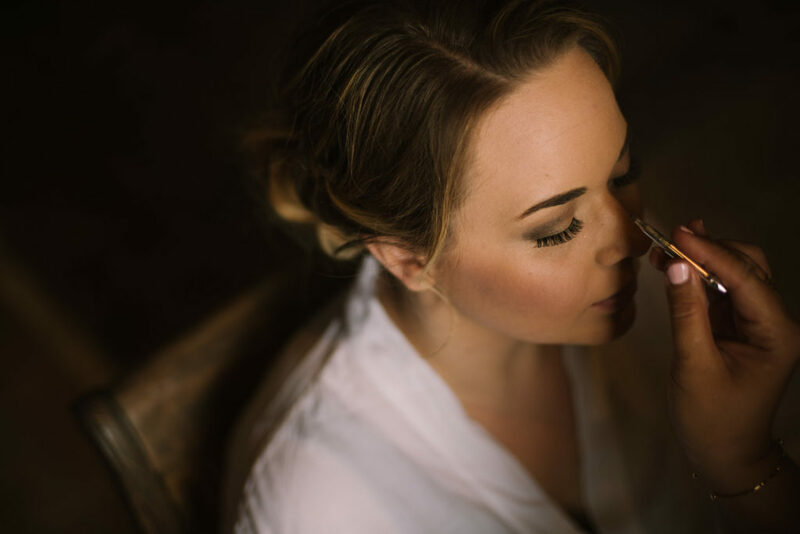 I always love these moments during weddings, my own emotions have to be kept in check which is hard sometimes especially when you have lost close family members and I know how important these memories being made are. 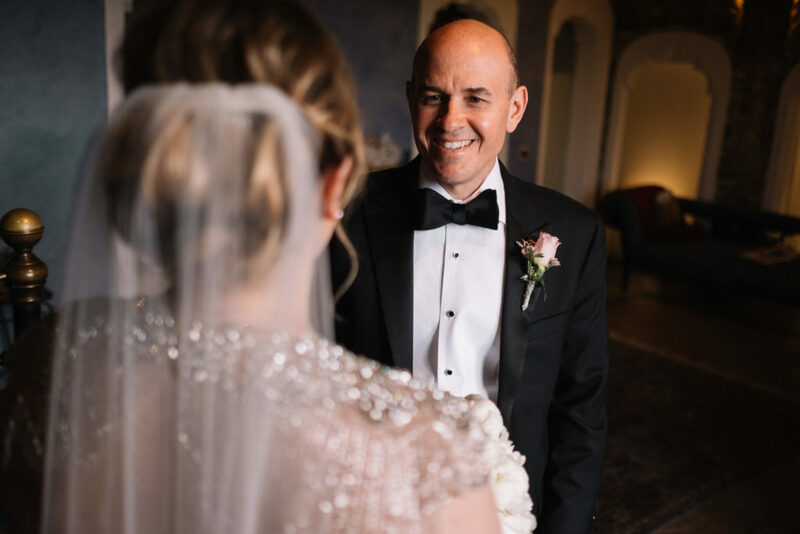 I have had to walk out of ceremonies before to hide the tears, a father giving away his daughter gets me every time. 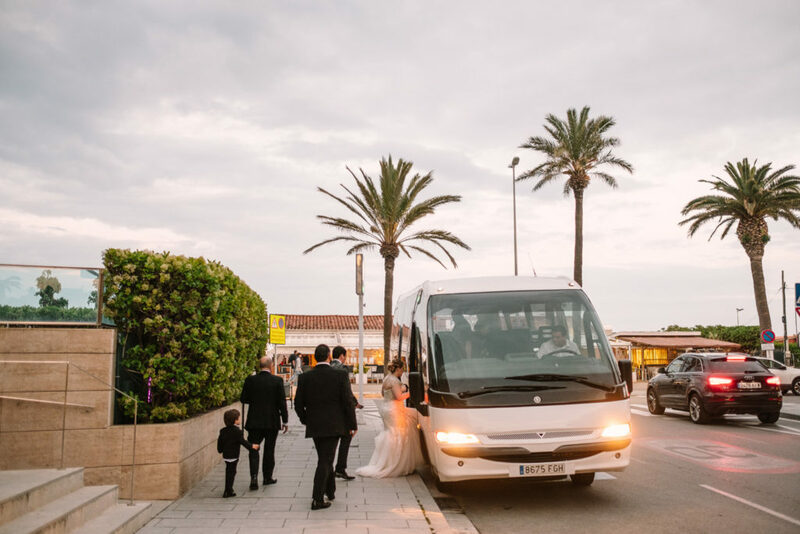 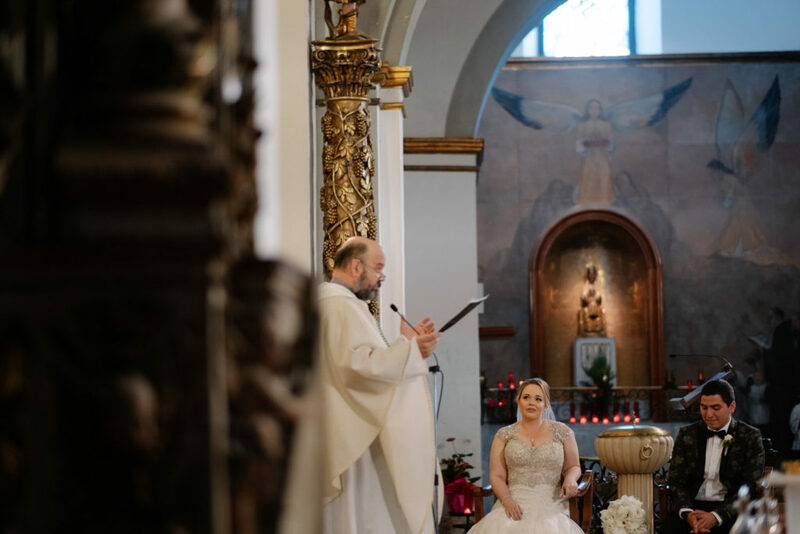 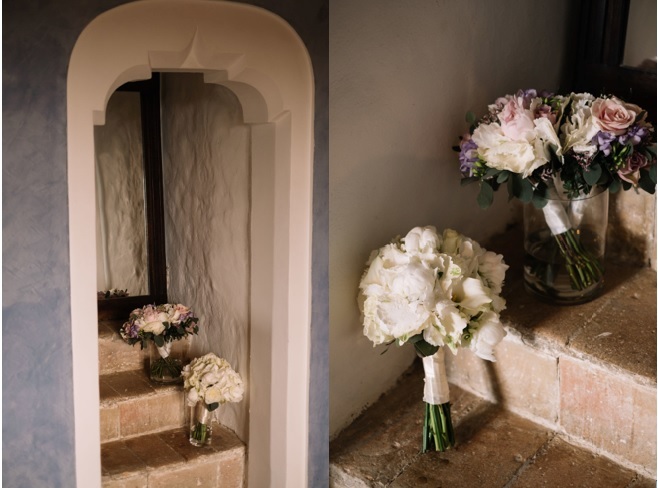 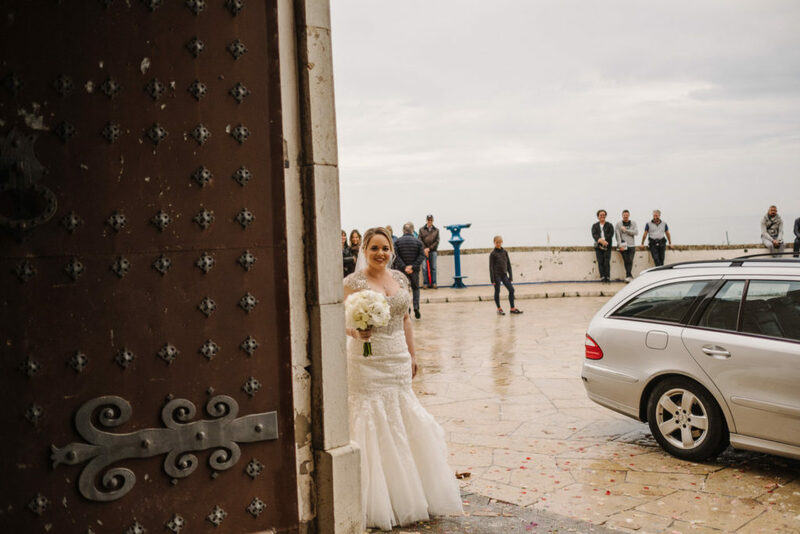 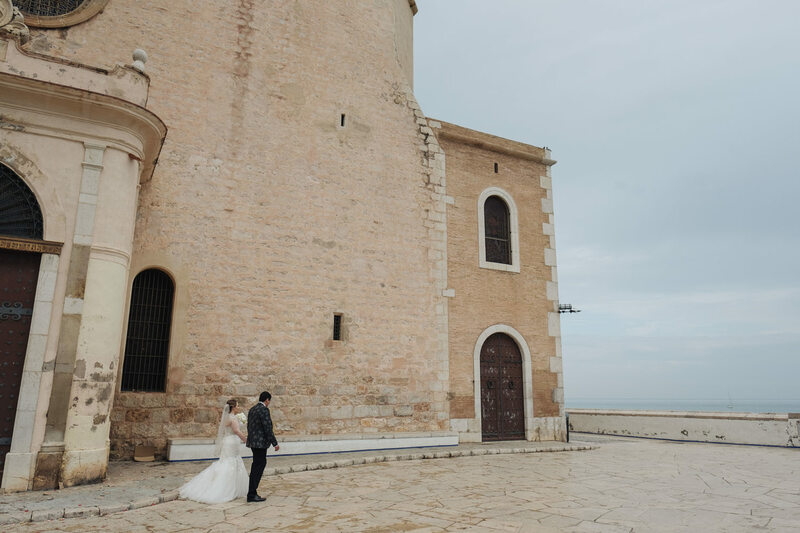 The ceremony was held at the Parròquia de Sant Bartomeu, the famous postal card church located on the beach in Sitges with stunning views out to the ocean. 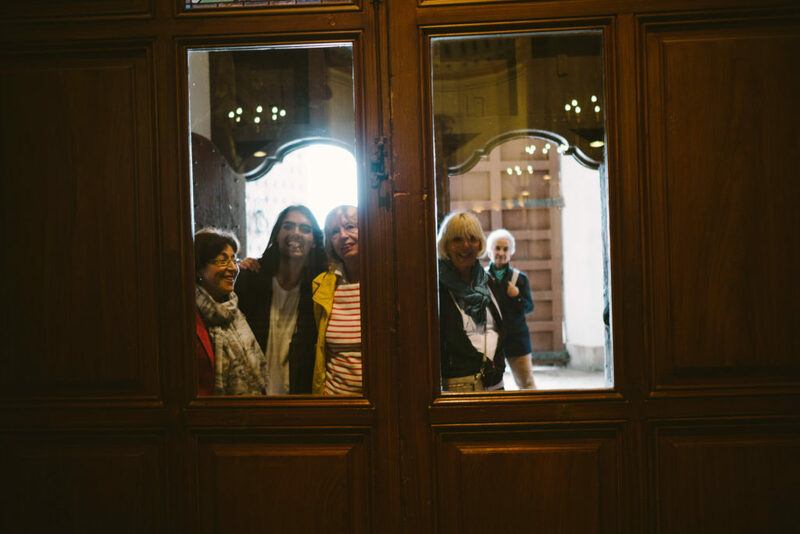 Even the locals were gathering to see the extrajanero wedding taking place and I love the image Andreas captured of them all peeking through the church door! 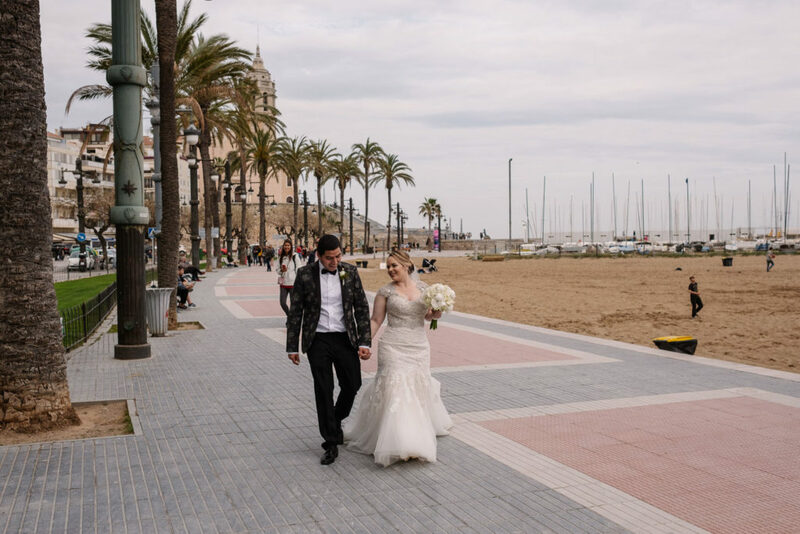 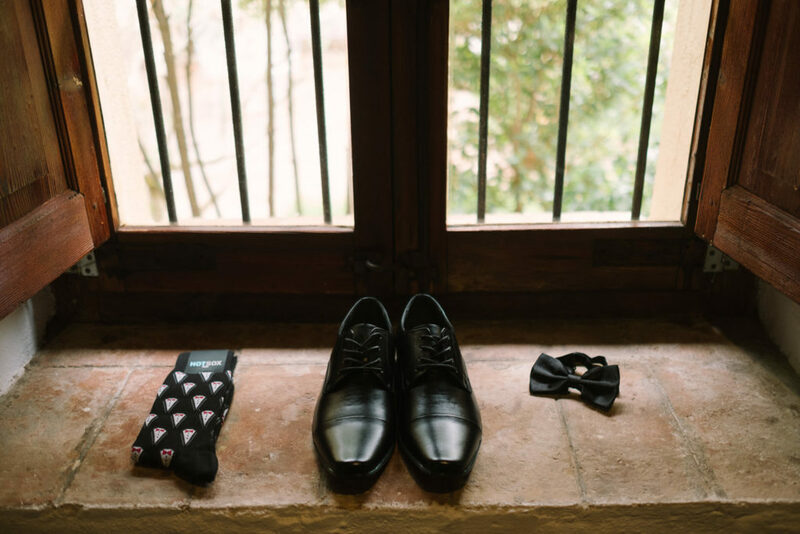 After a beautiful ceremony, Whitley and Francisco wandered along the promenade to join their family and friends at the retro Calipolis hotel for a celebratory dinner giving them more time to stay and enjoy Sitges during their wedding day. 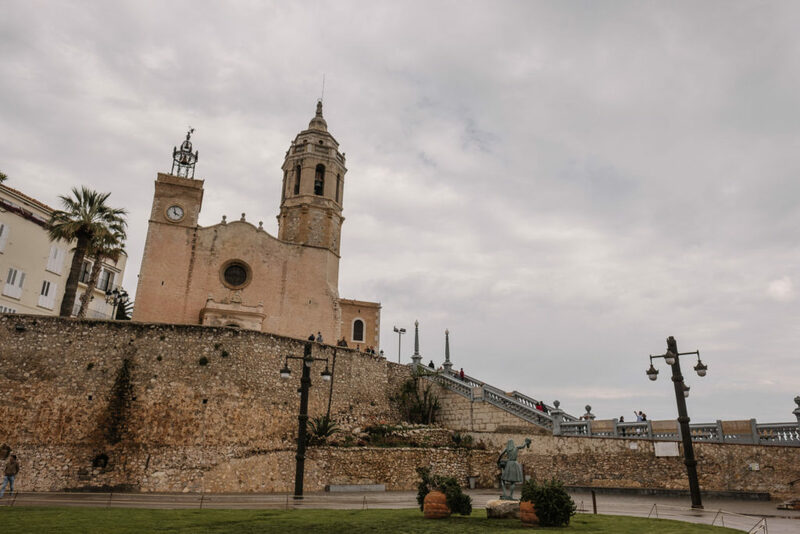 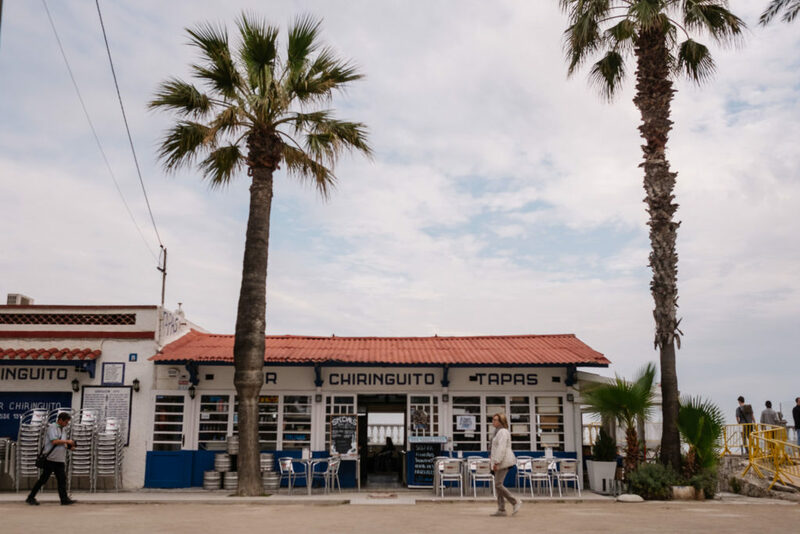 I do love this part of Spain, everything takes you back in time, the combination of history mixed with the retro sixties, seventies style when Sitges became a popular tourist destination and of course the trendy atmosphere that brings a sense of excitement to this charming town. 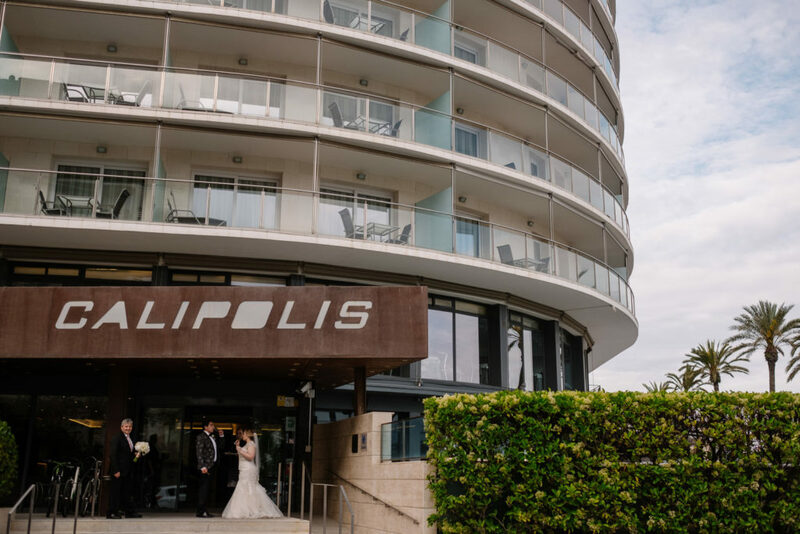 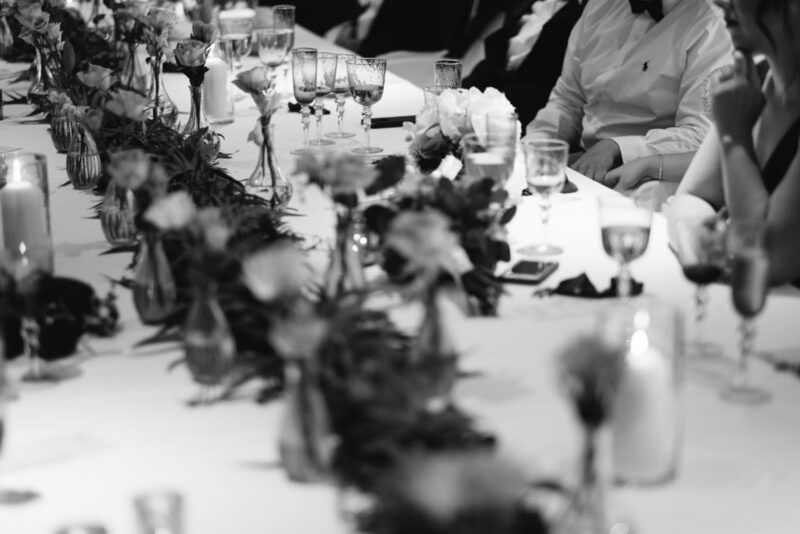 After a cocktail reception on the terrace at the Calipolis, their guests were invited to join them for an evening of fine dining, plenty of drinks and shared some wonderful speeches, there was a lot of laughter emanating from their table overlooking the sea. 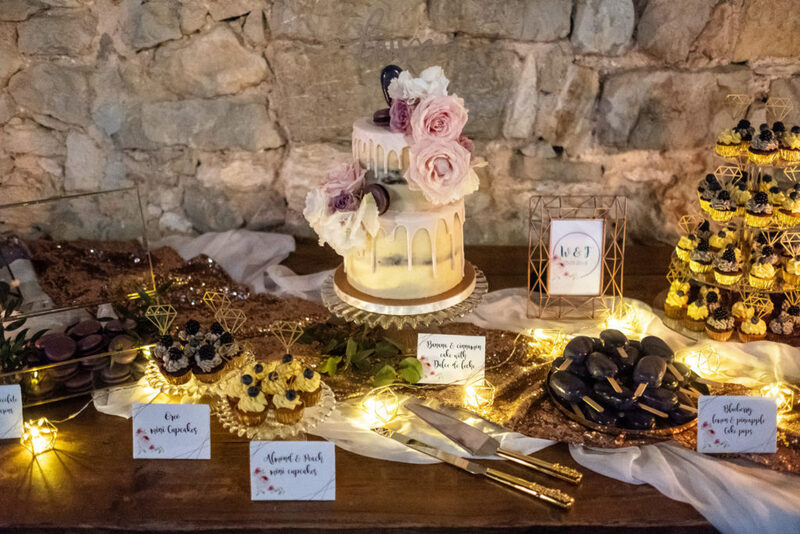 Everything was beautifully dressed with the tableware rentals from Crimons and florals from Maria at Atmosfera Florals who also created the gorgeous peony bouquets. 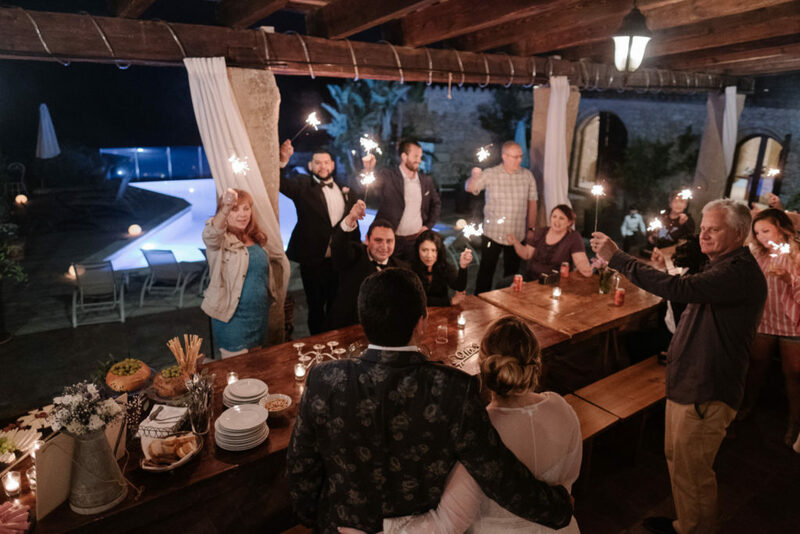 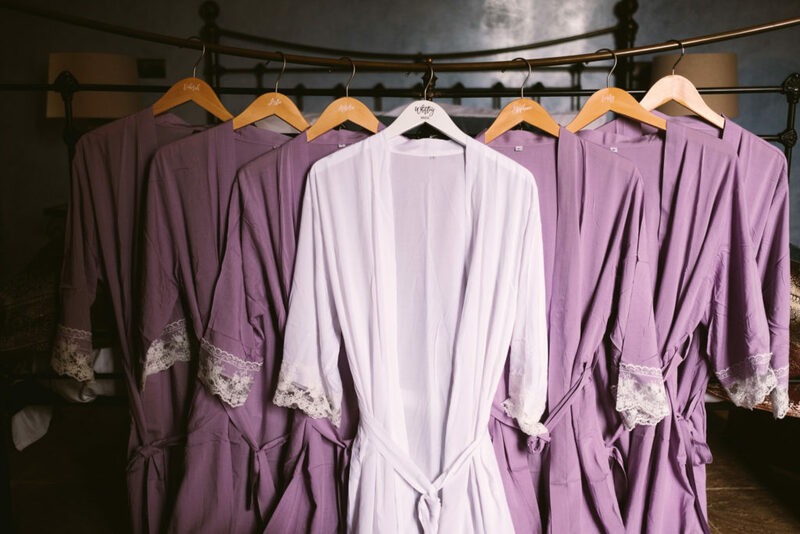 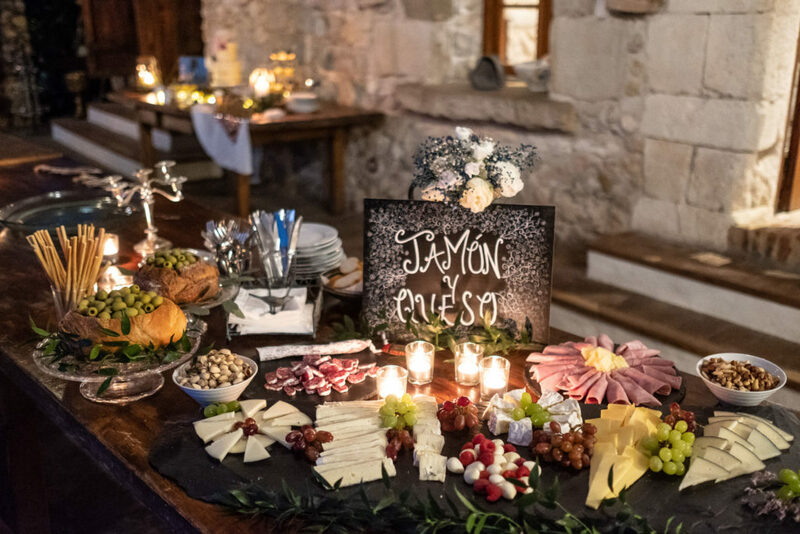 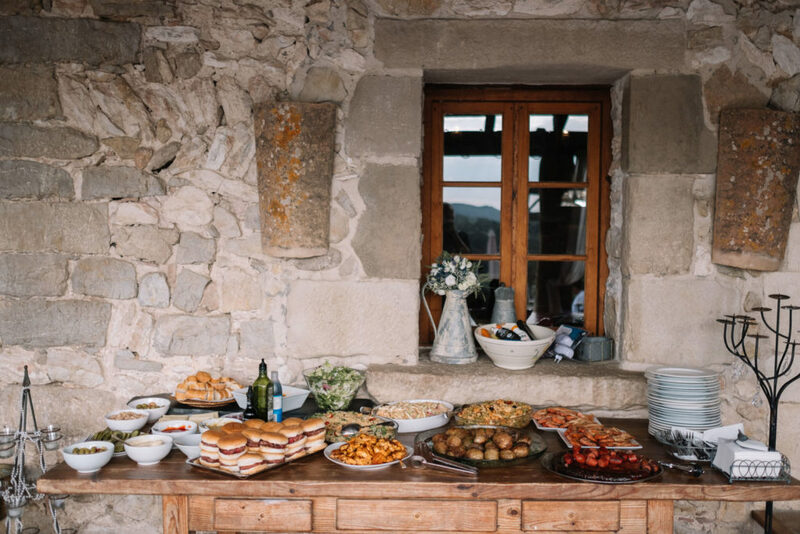 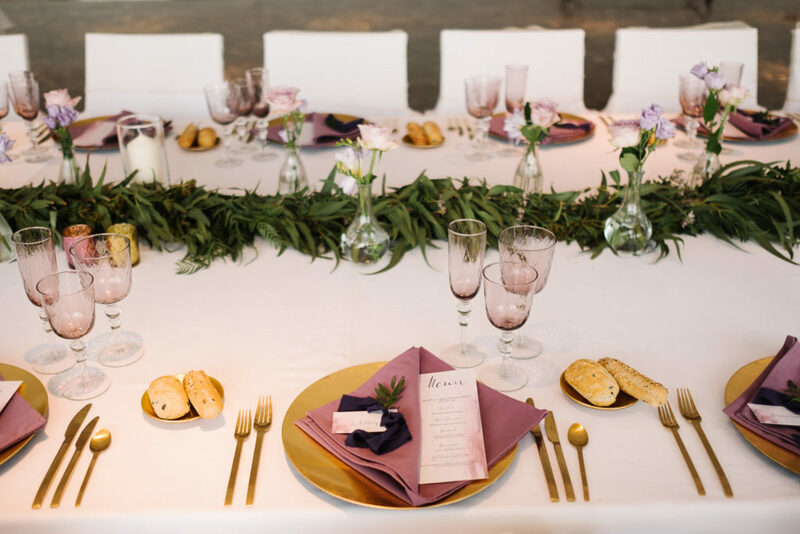 Guests were then taken back to the Casa Felix for an evening of surprises including a sangria bar, Jamon and queso table and the pièce de résistance, the cake and dessert table! 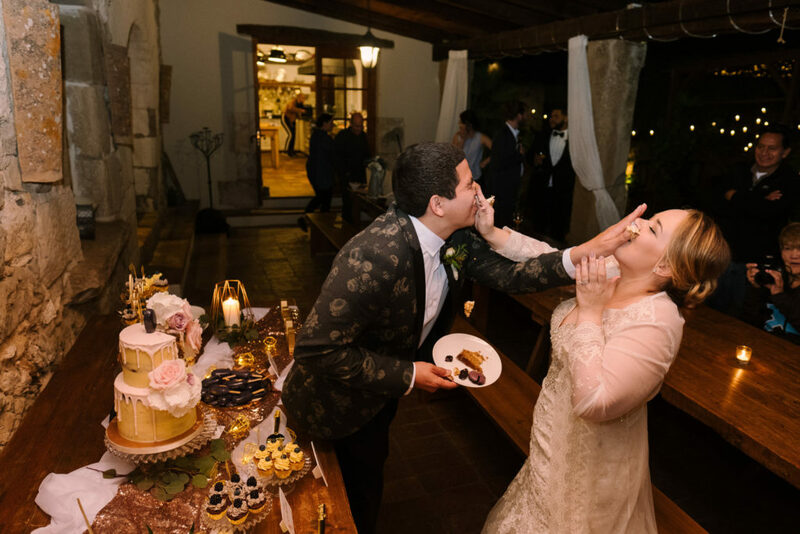 This was going to be a big hit! 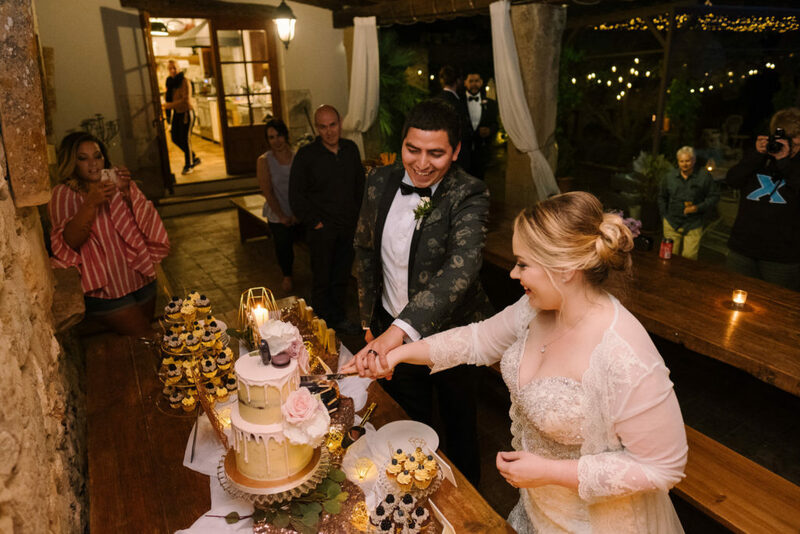 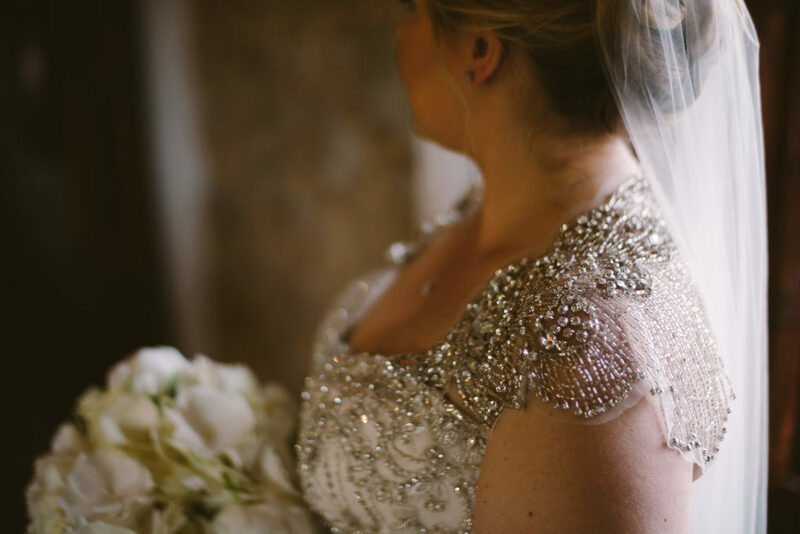 No wedding is complete without sparklers, I always take them to our weddings if I can, it creates a magical moment and you can see me handing them out and guests testing them first! 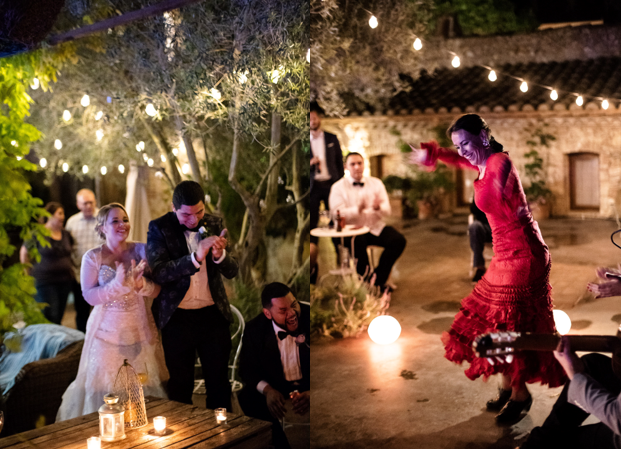 By then the skies were clear and the setting was just perfect for such a magical evening under the stars as everyone celebrated what was a truly wonderful day and enjoyed the spectacular and passionate dancing accompanied with the beautiful sounds of the Spanish guitar by Paul Bosauder. 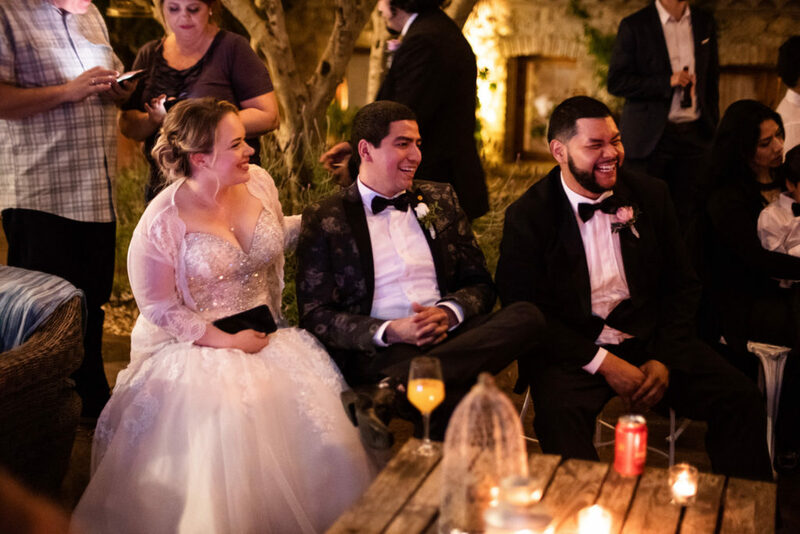 What Whitley said about their performance was wonderful. 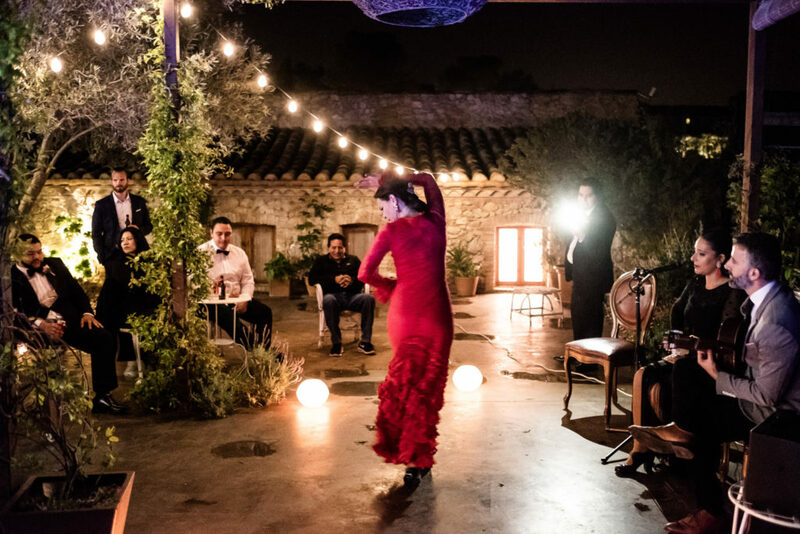 What an unbelievable experience to get to enjoy a private, professional flamenco show outside under the stars and twinkle lights at a stunning casa in Spain! 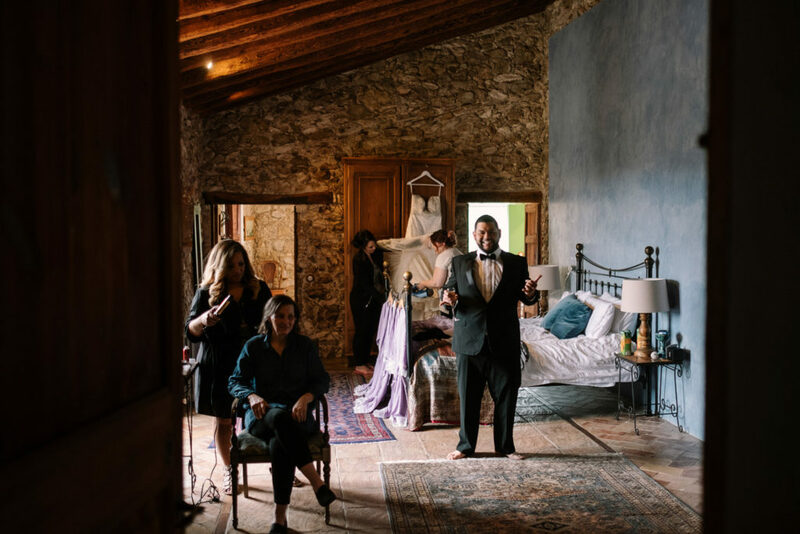 Francisco’s father absolutely loved it and was clapping along and yelling out…it reminded him of his time living in Seville when he was younger. 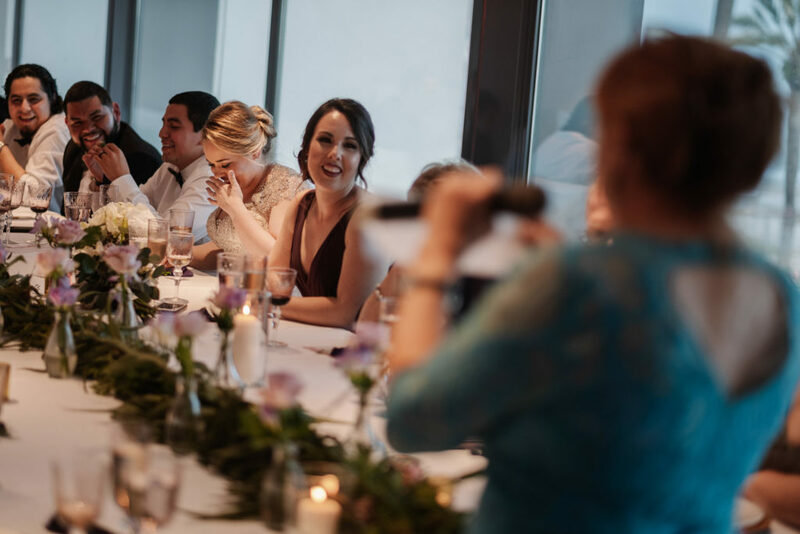 At one point my godmother was even in tears because she felt so emotionally connected to the performers. 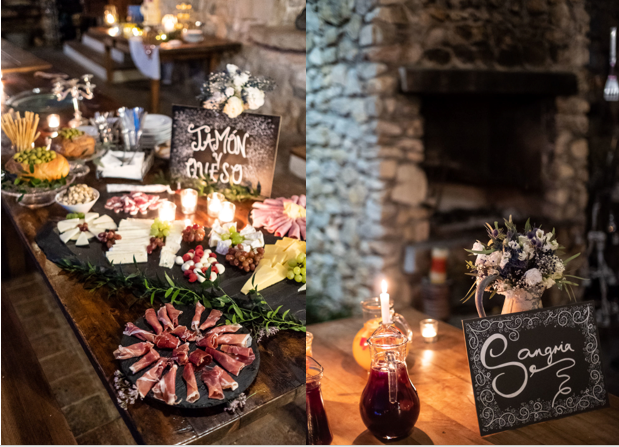 All I can say is “wow”! 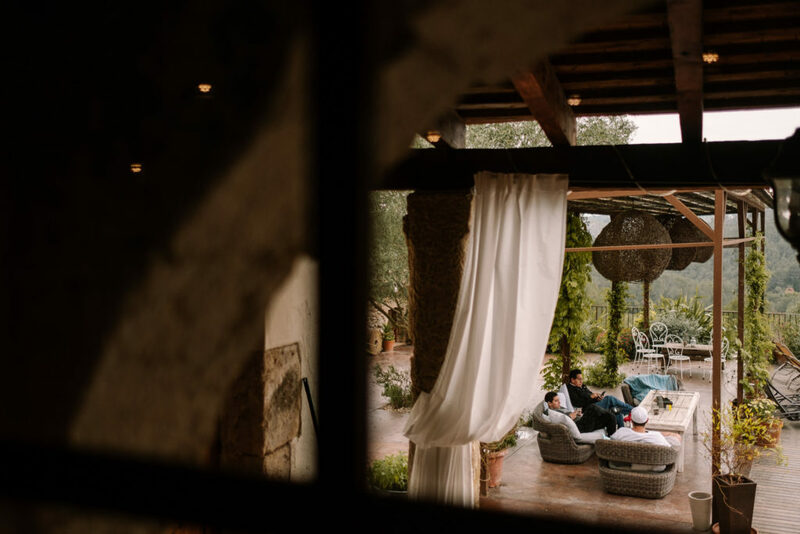 A truly magical few days spent by Whitley, Francisco and their families and friends which we were privileged to be part of. 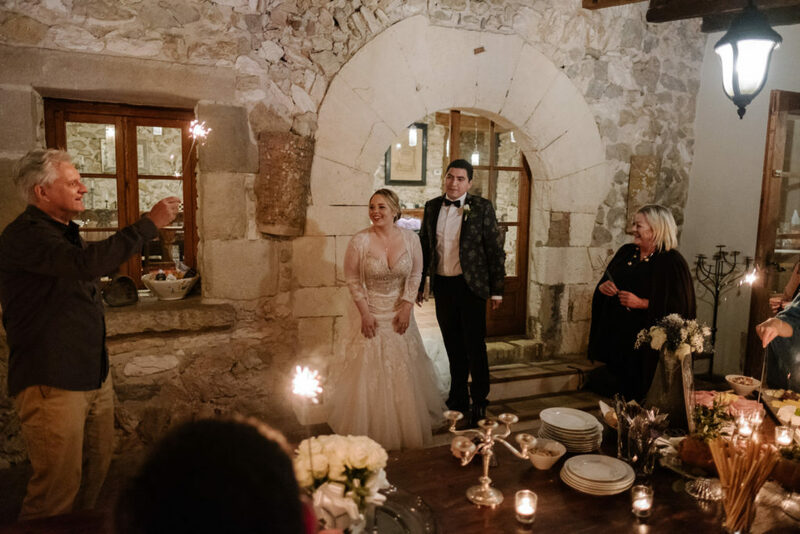 A huge congratulations to them both and today is their one month anniversary already so I thought this would be a nice gesture to publish this post to mark this occasion! 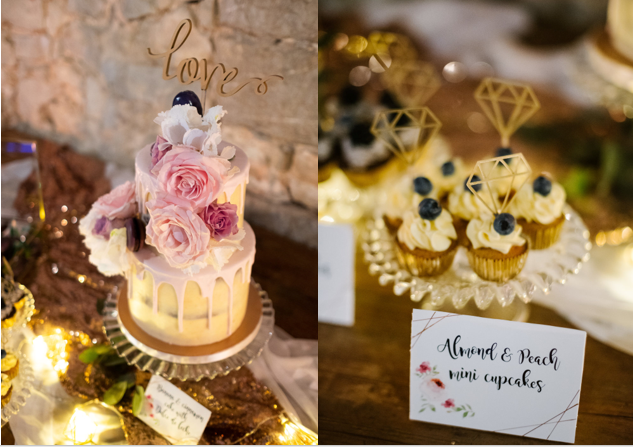 My thanks to all the suppliers who worked with Jana and I, big shout out to Susan, Connie and Melissa, without their professionalism, dedication, and talent we could never create the events we do. 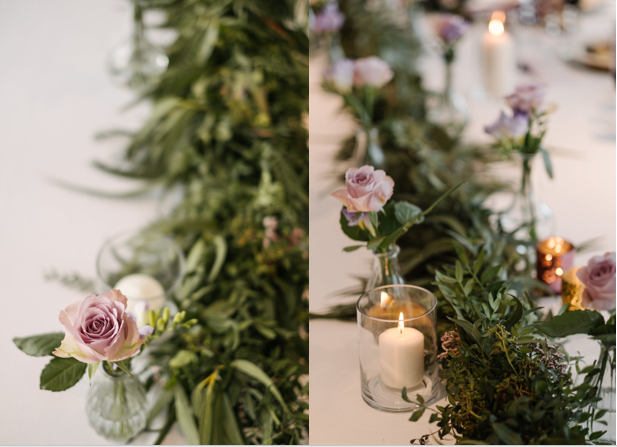 These wonderful images are courtesy of Andreas Holm.